A resilient and sustainable fisheries and agriculture sector that enhances food and nutrition security, contributes to economic growth and respects the natural environment. Expand the domestic food supply base to improve the local contribution to the country’s food security status. Bring about a food basket with a higher nutritional value. Enable Seychelles to optimise on the use of its natural resources with opportunities to create jobs across the agriculture and food value chain. To ensure the increasing availability of enough locally produced food in order to meet the county’s food security and nutrition needs and reduce risks and vulnerability in the event of local and/or external factors which may limit or hinder access to global food markets. Based on the National Food and Nutrition Security Policy the Ministry of Agriculture and Fisheries will simulate and guide investments in building and sustaining desired level of local food production as part of the strategic food supply/availability system. 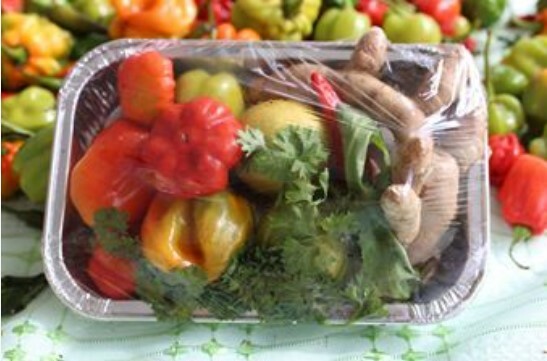 The Seychelles Food and Nutrition Security Policy (NFNSP) is specially developed to align and strengthen the county’s capacity and ability to deliver on its food and nutrition security objectives and targets in a manner that ensures efficiency and sustainability in resource use, able institutions and human capacity and resilience in the face of internal and external shocks as well as progressive change in key parameters such as population size. The Seychelles National Agricultural Investment Plan (SNAIP) is a framework that seeks to harmonize, consolidate and accelerate the implementation of the country’s agriculture and food security and nutrition related policies and strategies in the period 2015 to 2020. SNAIP sets the country’s agriculture and food security and nutrition development for the next five years within the context of the Medium Term Expenditure Framework (MTEF). Met pare pour sa gran Lafwar Agrikol a lokazyon lazournen mondyal pour manze, Dimans le 21 Oktob 2018 kot NSC Hall, Roche Caiman. Form laplikasyon i deza a ou dispozisyon.Download en copy e anvoy kot ubrutus@gov.sc pa plitar ki midi, Lendi le 1 Oktob 2018.Nou kont lo OU partisipasyon pour fer sa levennman en sikse!Lafwar Agrikol, Dimans le 21 Oktob kot NSC Hall, Roche Caiman; en rendez-vous ki ou pa devret manke!